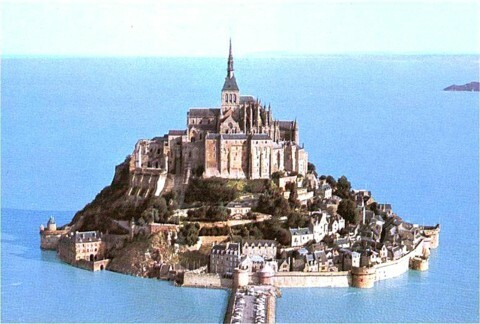 Mont Saint Michel is perched on a rocky islet which is on the north coast of France near the border of Brittany and Normandy. In 966, a Benedictine monastery was etablished. Grand construction commenced in 1070 with Abbot Hildebert.